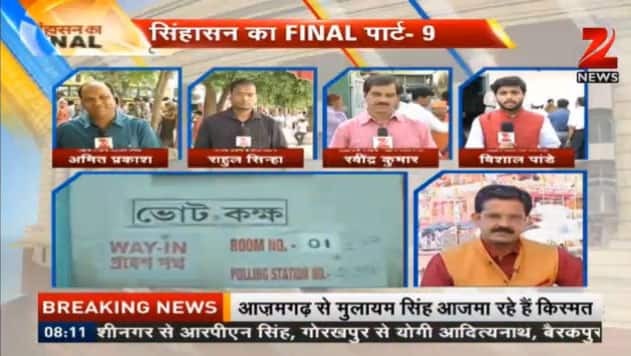 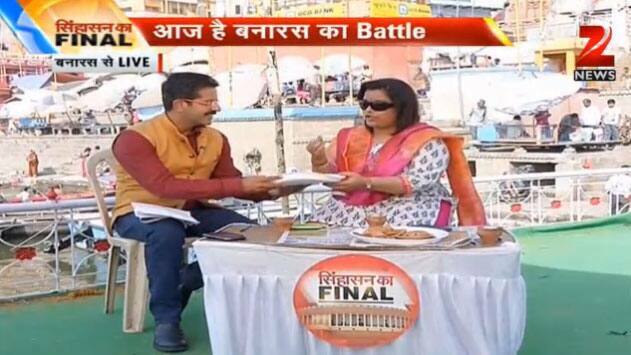 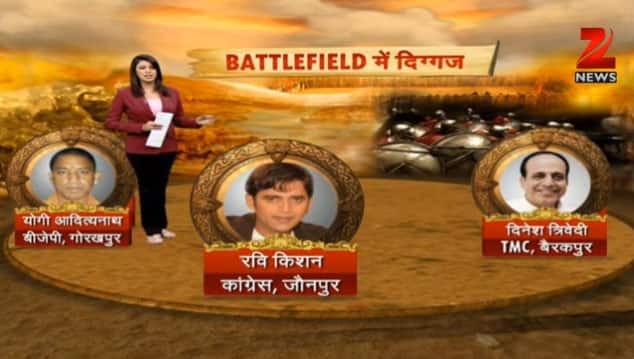 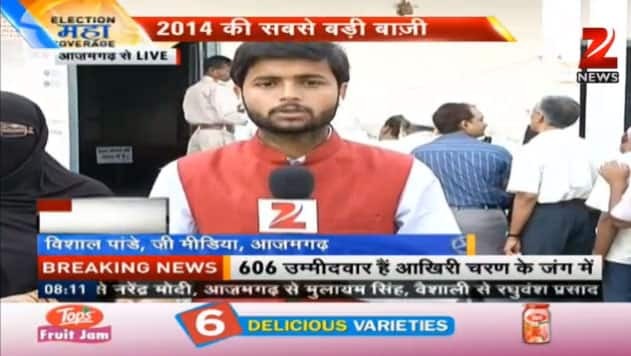 General Elections 2014: Ninth phase of voting. 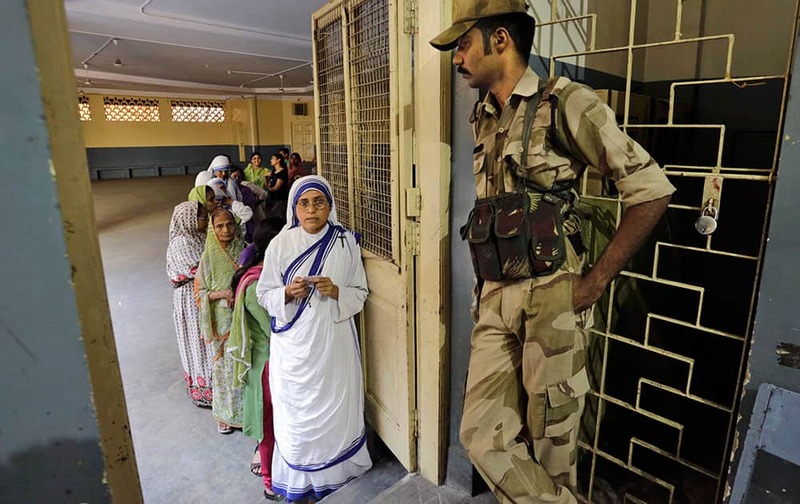 A nun waits in queue with others to cast her vote as a security officer stands watch at a polling station in Kolkata. 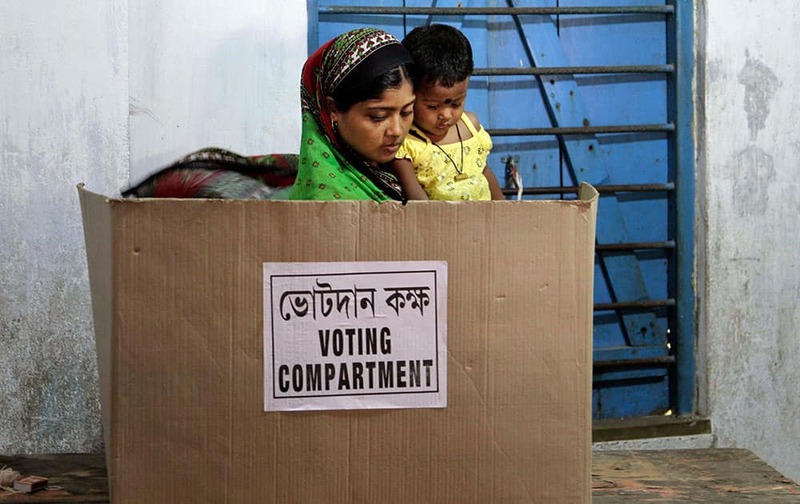 A woman carries her child while casting her vote on the final day of polling in Kamalgaji, on the outskirts of Kolkata. 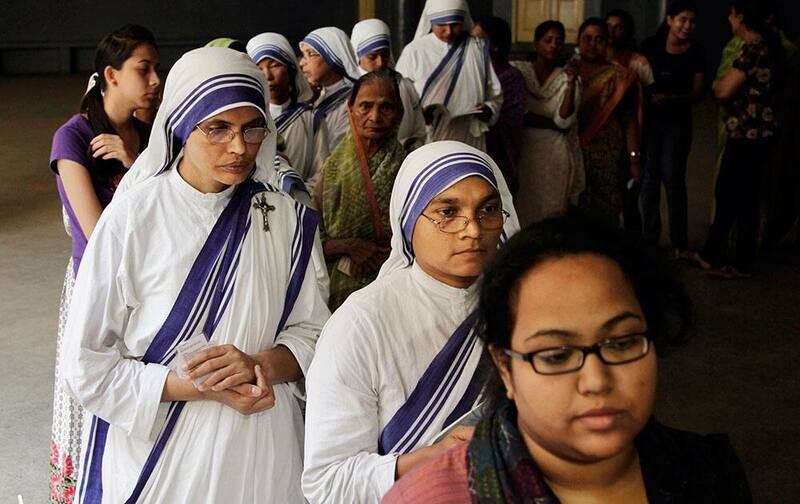 Nuns of the Missionaries of Charity, the order founded by late Mother Teresa, wait in a queue to cast their votes at a polling station in Kolkata. 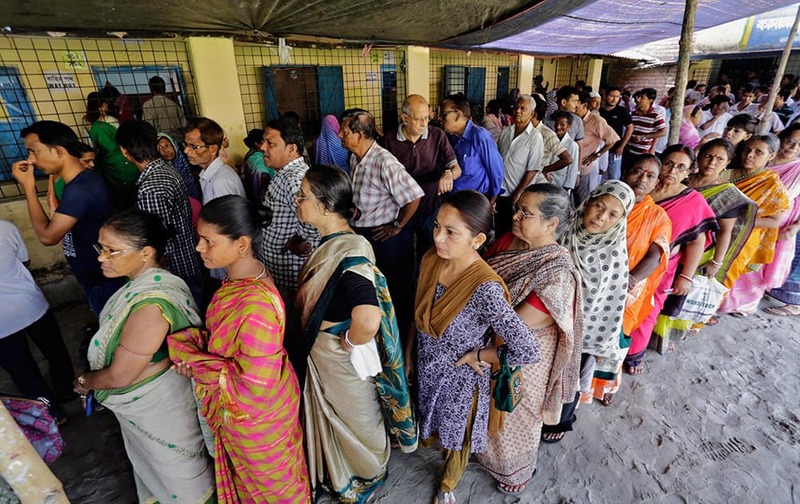 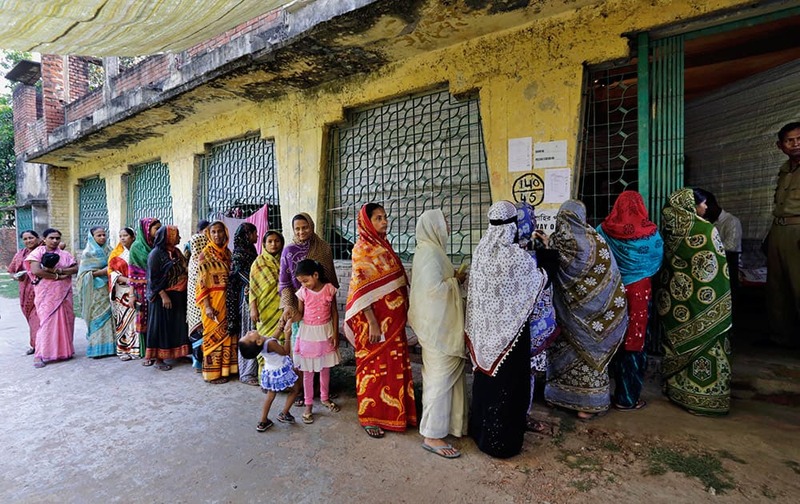 People stand in a queue to cast their vote at a polling station in Kamalgaji, on the outskirts of Kolkata. 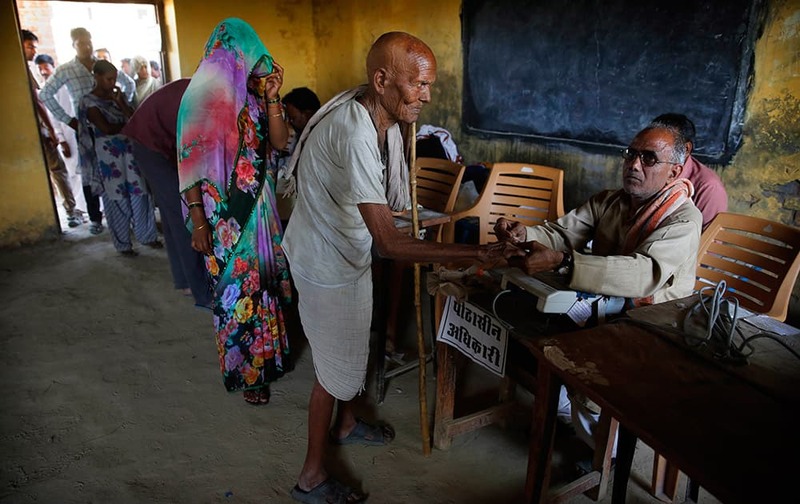 A polling official marks the finger of an elderly man with indelible ink before he casts his vote at a polling station in Kunwarpur village, about 40 kilometers (25 miles) northwest of Jaunpur district, in the northern Indian state of Uttar Pradesh. 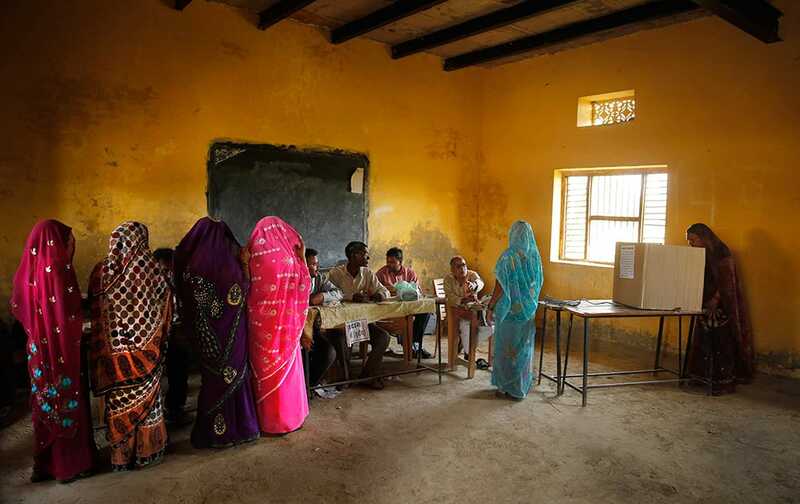 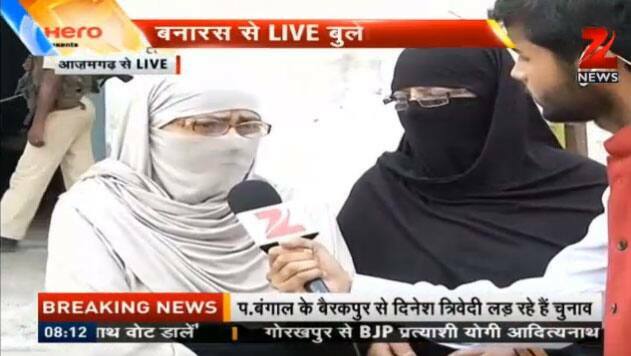 Rural Hindu women with their faces covered wait in a queue as another woman casts her vote on the final day of polling in Kunwarpur village, about 40 kilometers (25 miles) northwest of Jaunpur district, in the northern Indian state of Uttar Pradesh. 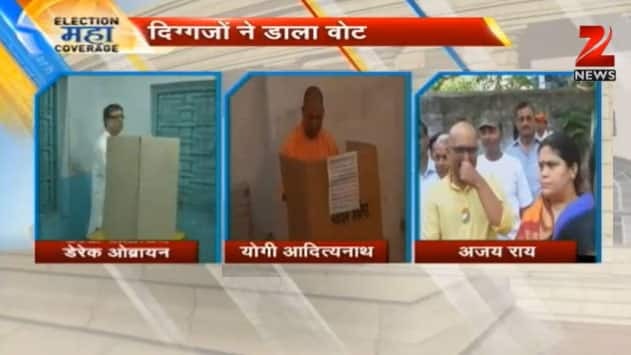 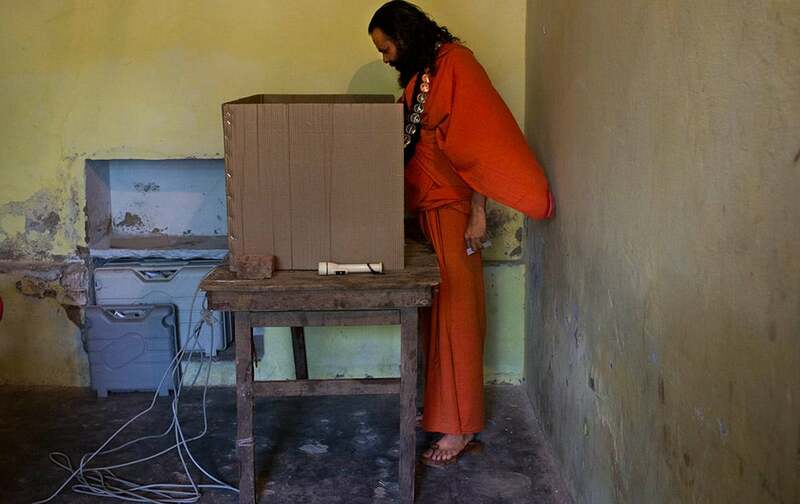 A Sadhu casts his vote at a polling station in Varanasi, Uttar Pradesh. 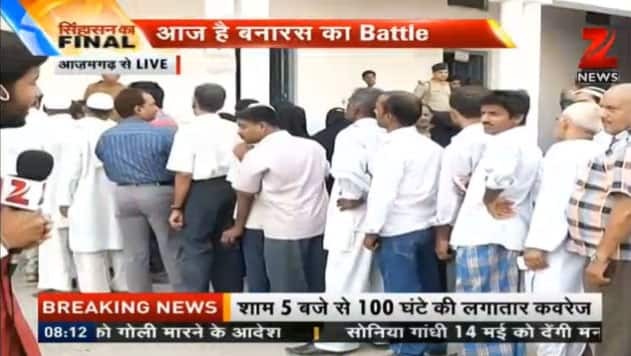 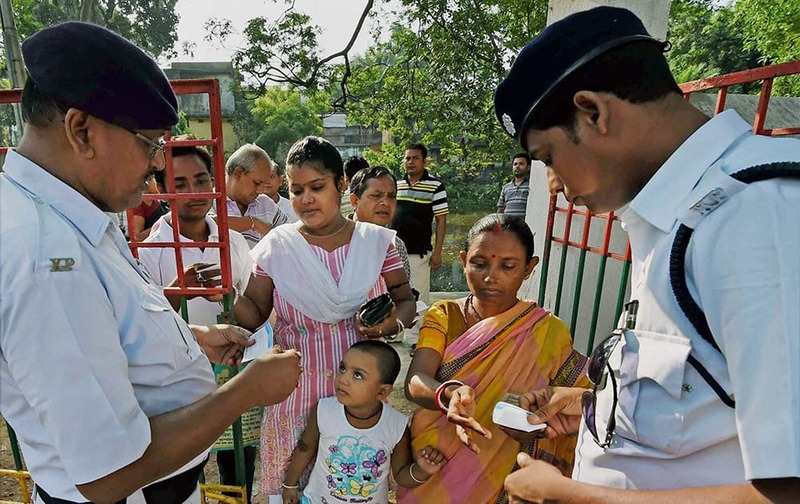 Policemen checking identity cards of voters outside a polling booth during the last phase of Lok Sabha polls in Kolkata. 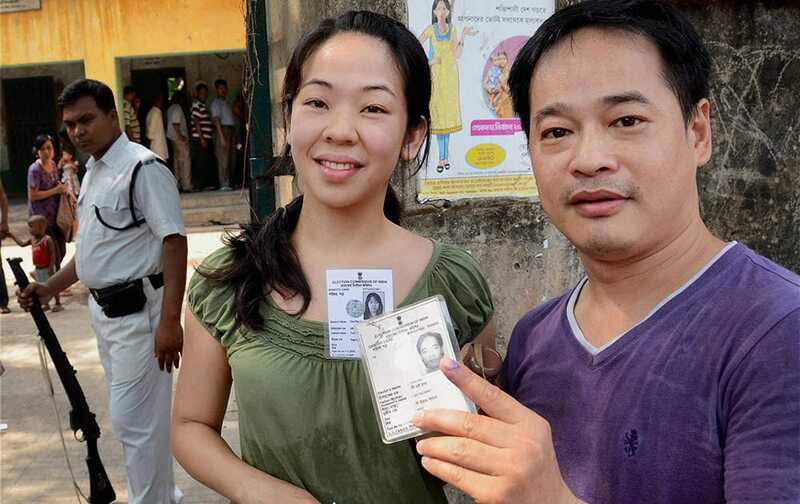 People showing their voter ID cards outside a polling booth at Chinatown in Kolkata during last phase of Lok Sabha polls. 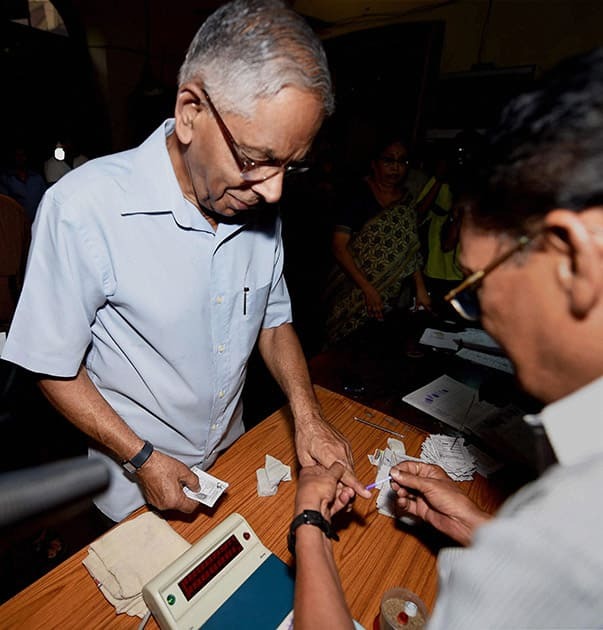 West Bengal Governor M K Narayanan gets his finger inked before casting his vote at a polling station during the last phase of Lok Sabha polls in Kolkata . 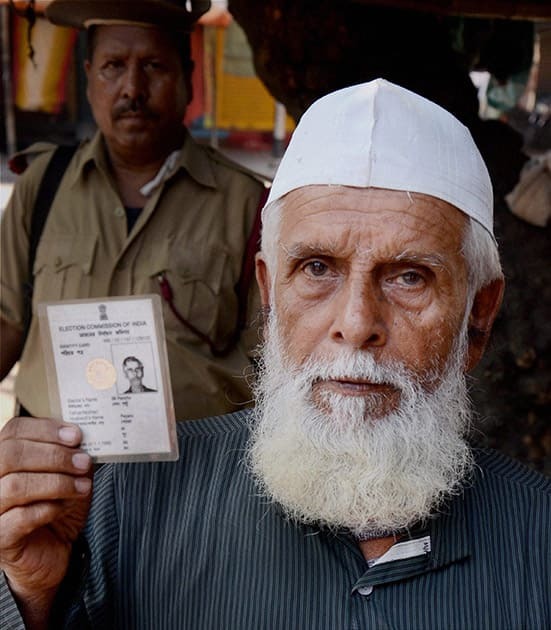 A Muslim voter showing his voter ID card at a polling booth in North 24 Parganas in West Bengal. 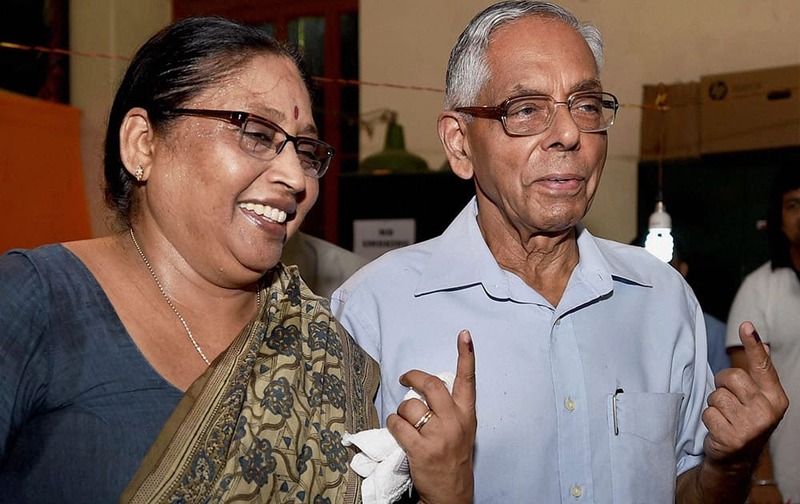 West Bengal Governor M K Narayanan and his wife Padmini Narayanan showing their ink-marked fingers after casting their votes in Kolkata.